Top500 has released its 45th annual report on world’s fastest supercomputers is out and once again Linux is ruling the world of supercomputers. This should not come as surprise because Linux has been ruling supercomputer world for several years now. 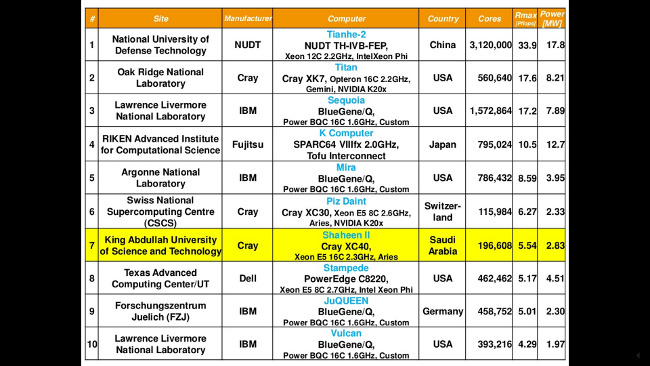 Even in 2014, Linux was running on 485 out of top 500 supercomputers. There has been an increase in Linux share this year as 486 of top 500 super computers now run on Linux. In other OSes, Unix runs on 12 supercomputer while Windows runs on only one supercomputer. The one remaining supercomputer runs ‘mixed’ OS (is it like dual boot?). 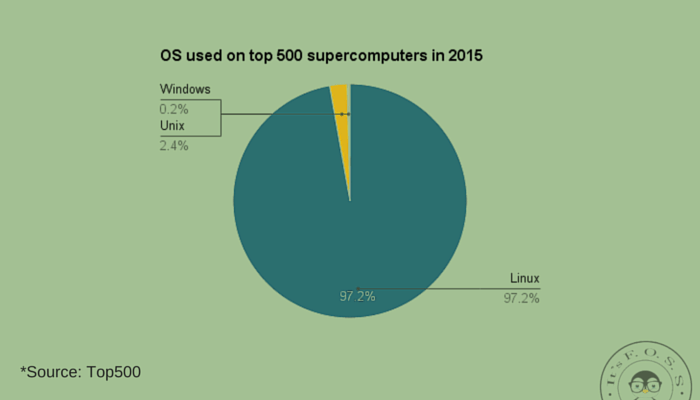 Even more interestingly, Linux runs on all top 100 supercomputers. Unix debuts at 107th ranked Russian supercomputer Polytechnic RSC Tornado. The only Windows running supercomputer is 436th ranked Magic Cube of China.